Water Matters > Education > Chloramine Keeps Bacteria Out, What's The Tradeoff? As far as water treatments go, chloramine is the trendiest solution on the block. Over the past few years, a number of water plants have switched to treating and disinfecting water with chloramine. 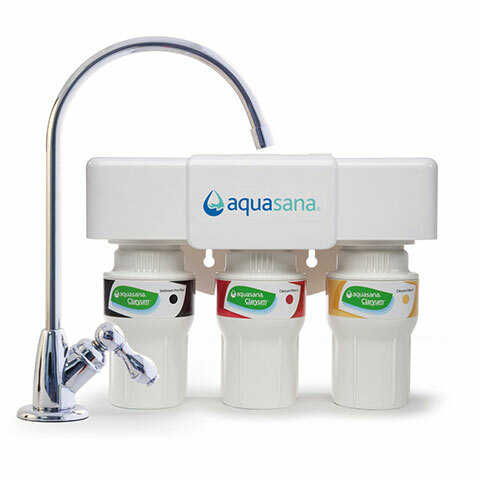 In fact, the United States Environmental Protection Agency (EPA) recently reported that one in five Americans are now drinking chloramine-treated water. It’s important to note that chloramine in the context of water treatments, refers to monochloramine, a solution that is 5 parts chlorine and 1 part ammonia. There are two other compounds that consist of ammonia and chlorine, dichloramine and trichloramine, which are toxic and should not be consumed. Trace amounts of trichloramine are sometimes found in swimming pools when chlorine reacts with urine and sweat in the water. Small amounts of monochloramine on the other hand, are less toxic, and the sold compound added to treat water. Water treatment facilities have noticed chloramine produces a small number of disinfection by-products (substances that can be carcinogenic over a lifetime of exposure) compared to other treatment processes. Additionally, chloramine was found to remain in water for a long period of time – well after it reaches the tap and enters a drinking glass. 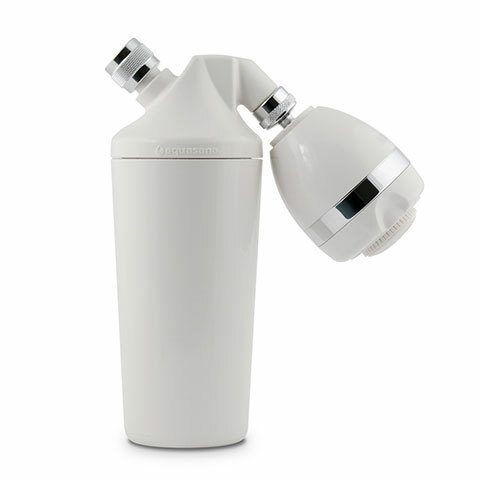 This means it protects drinking water throughout its journey to the tap from potential waterborne diseases. What aren’t they telling me? Chloramine isn’t perfect and its up to the consumer to evaluate whether the benefits of chloramine outweigh the negatives. In recent years, findings have emerged about the downsides of chloramines. One of the more high profile downsides of chloramine is the potential for lead to leach into the water supply. Documented instances of lead leaching due to chloramine are rare in the US and most often take place in cities with older pipes and certain water chemistry. Some regions, including Greenville, North Carolina have also experienced a rise in lead after switching to chloramine, while other areas, like San Francisco, have not. There are two other prominent downsides to using chloramine. In some circumstances, the ammonia in chloramines is oxidized and transformed into nitrates. This process is aptly named nitrification. Nitrates do not pose a health concern, but lead to depletion of chloramine residuals that suppress bacterial growth. Fortunately, water engineers have identified this problem and implement operational controls to limit the spread of nitrification. Finally, longevity, which is listed as a benefit is, in some cases, also a downside. The level of chloramines in water can remain in the drinking glass, but if someone wants to take them out for a specific reason, that is when the problem arises. Chloramines will take days if not weeks to dissipate. It’s likely that people prefer their house is not filled with water jugs sitting out for varying periods of time, and instead they want to rid their water of chloramine in an efficient and timely manner. Fortunately, modern science and several filtration companies have their backs. There are also certain groups impacted by chloramine, including aquarium owners (chloramine is toxic to animals with gills), kidney dialysis patients (chloramine-treated water cannot go in dialysis machines), and professionals who rely on water (including breweries and biotech companies). Most of the downsides listed above have a clear solution but better safe than sorry. It’s possible to filter chloramine out of tap water entirely. 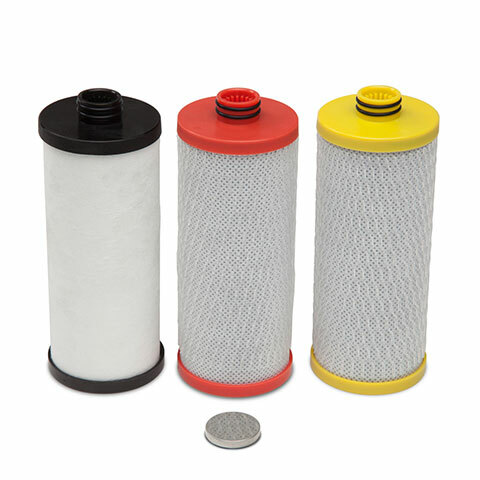 A number of filtration systems take chloramine out of the equation before it even reaches your glass.